Later today, the Supreme Court of the United States will determine whether to uphold or strike down a Louisiana law seeking to shut down all but one abortion clinic in the state. According to the contested bill, abortion clinics will only be permitted to operate should its doctors have admitting privileges to a nearby hospital that is no more than 30 miles away. 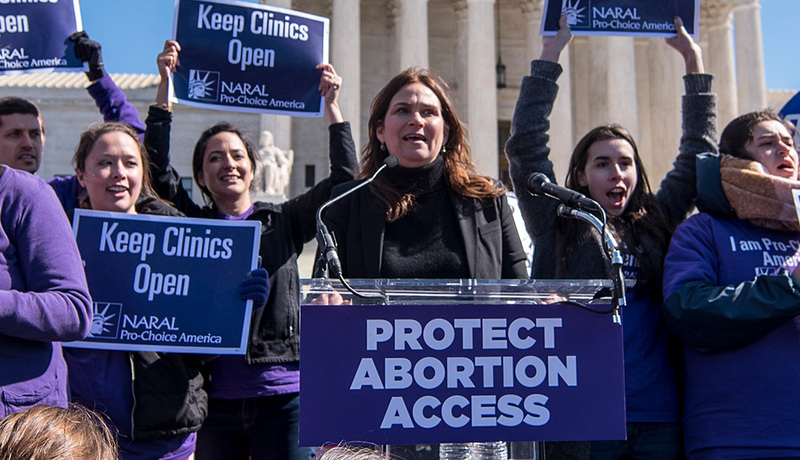 The Supreme Court’s decision will signal anti-abortion legislators just how much they can get away with, and will mark the overall attitude of the court towards Roe v. Wade, the landmark 1973 decision granting women across the U.S. access to abortion services. While the Louisiana bill purportedly seeks to protect women’s health by ensuring they will have access to ER services should there be any complications during their abortion procedure, it in fact seeks to harm their well-being and deprive them of their constitutional rights by attempting to impose significant restrictions on abortion clinics. Firstly, abortion is statistically proven to be a fairly safe procedure (less than one percent of first-trimester abortion result in hospitalisation due to complications), and thus there is no medical basis for requiring doctors performing abortion to procure admitting privileges in a hospital. What’s more is that obtaining such privileges may prove virtually impossible for some doctors, as hospitals often require a minimum amount of patients in order to grant them; a number abortion doctors can’t guarantee due to how safe the procedure generally is. Demanding admitting privileges from abortion clinics as a way to shut them down is not unique to Louisiana, and in fact originated in a 2014 Texan bill that sought to do the same. The Texas law was finally ruled unconstitutional by the Supreme Court 2016 (in its pre-Trump-nominees incarnation), declaring that it had no medical justification and would cause harm to women in the state by restricting their access to abortion services. The Court went on to berate Texas lawmakers for passing hundreds of laws since 2010 that severely limited abortion access and led to the closure of roughly half the clinics in the state, by citing false scientific evidence and mounting insurmountable restrictions for clinics and doctors. While other majority-conservative states tanked similar bills in their legislatures following the 2016 Supreme Court Decision, Louisiana refused to back down, and has been pushing its own bill up the legal ladder. A Fifth Circuit Court of Appeals in New Orleans (packed with judges nominated by the President) upheld the law back in September, and last month refused to rehear the case. An emergency motion filed by the Center for Reproductive Rights has left the fate of the bill at the hands of the highest court of the land. Should the law be upheld by the Supreme Court, only one clinic and doctor would be permitted to perform abortions in a state in which roughly 10,000 women undergo the procedure every year. This means tens of thousands of Louisiana women will either lose access to abortion services altogether, experience significant obstacles and delays, or seek the help of unlicensed doctors – all potentially resulting in significant risks to their physical and mental health. This will disproportionately affect women of low-income backgrounds. A refusal of the court to slap down this unscrupulous law will reverberate far past the Louisiana borders, however, and threaten the health and reproductive rights of women across the country.